At Vivaldi, travel and hospitality are close to our hearts and a big part of our everyday lives – not just because we are constantly on the road to see our clients (or because we happen to all be travel aficionados), but because we have been doing exciting work for great hospitality brands over the past years. 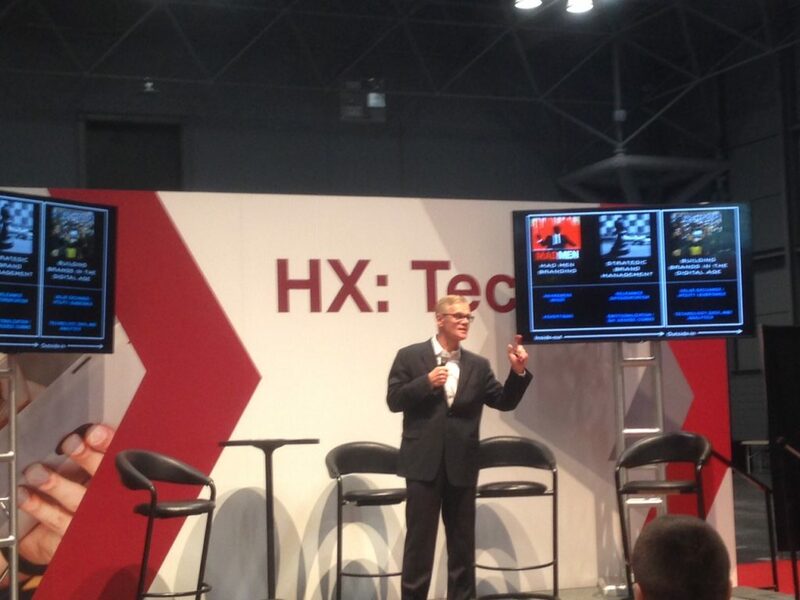 Needless to say, we were happy to accept an invitation to this year’s HX: The Hotel Experience. The show, which is the longest running and most comprehensive trade show for hospitality, is taking place in New York City this week and has drawn over 600 exhibitors and decision-makers from all parts of the industry. When it comes to branding in the hospitality sector, you need to understand where people are currently making trade-offs, and tap into exactly those spots! 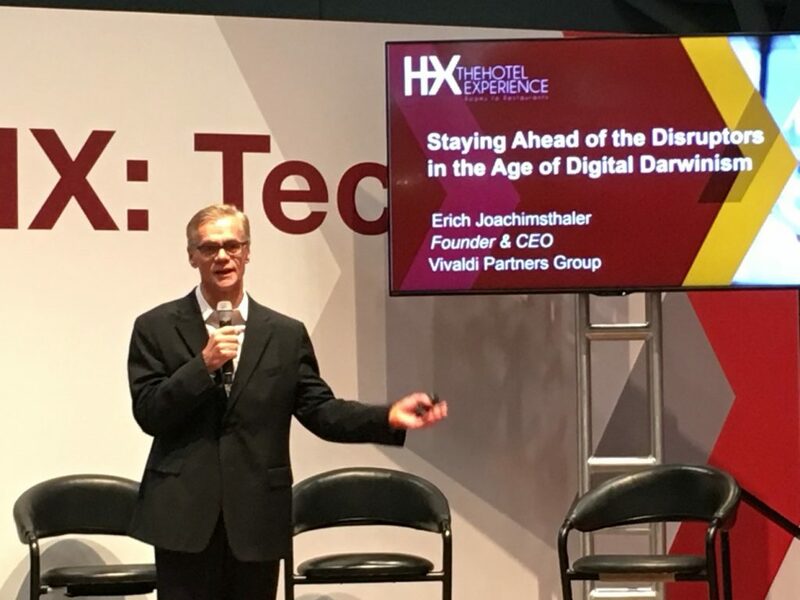 Kicking off day two of the three-day event yesterday, Vivaldi CEO Erich Joachimsthaler spoke to hoteliers about how to stay ahead of disruptors (hi there, Airbnb) by building their brand around a deep understanding of today’s travel customer and creating meaningful customer relationships in the age of Digital Darwinism. Calling on hoteliers to rally their brands around a customer-focused purpose, Erich highlighted the tensions facing today’s travelers, especially in leisure travel, which even the disruptors aren’t solving: customers are constantly having to make trade-offs between authenticity, self-reward, and self-expression. 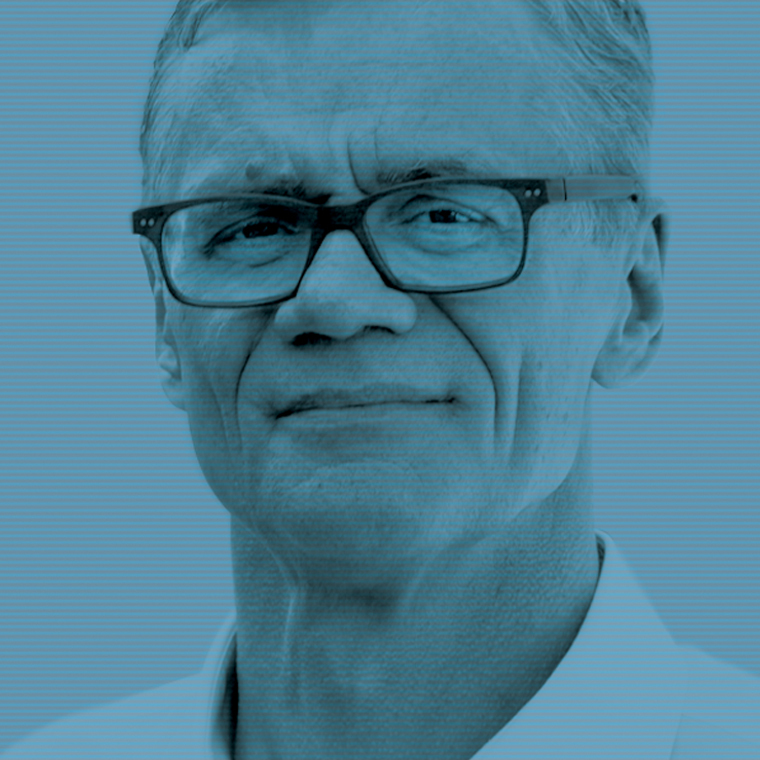 Understanding where your customers’ current trade-offs lie, and tapping into exactly those spots will be what separates the cream from the crop in the future of hospitality – is the biggest insight that Erich shared with the industry shakers and movers. HX was a great opportunity to gain a new layer of perspective on the everyday questions and concerns facing hospitality professionals and the practical solutions on offer to them – and we’re delighted to have added to their experience by provoking some new thoughts and sharing insights that will let them consider their brand and customers in a new light.